This week has been a quiet week in terms of camera launches, but that doesn't mean there hasn't been lots going on. We visited the Panasonic factory in Japan to see the first batch of X lenses roll off the production line, while Nikon has upset some of its fans... read on to find out more, each with links to the full story. On our whirlwind visit to Japan this week, we managed to sneak a peek at the brand new Panasonic X lenses going into production. Speaking to Angela Nicholson, our head of testing, Panasonic has also confirmed that there will not be a GH3 this year, but a professional level GF camera is likely to come soon. 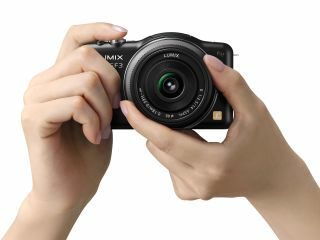 It was also revealed that the popular LX premium compact series is likely to have a larger sensor within its next iteration. Fresh from the high of announcing the Nikon V1 and J1 mirrorless cameras last week, Nikon made a bit of a blunder on the Nikon USA Facebook page earlier in the week, suggesting that a photographer was only as good as their equipment. Several overreactions later, Nikon apologised for the gaffe, giving everyone else a lesson in how not to manage their social media. Meanwhile, Olympus has leapt to the defence of its compact system camera, the micro four thirds sensor in light of Nikon's entry into the mirrorless market. Mark Thackara from Olympus UK says that it's the PEN system as a whole that stands it apart, read more about what he had to say. It was a bad week for Kodak after shares plummeted in the iconic photography brand following a £103 million loan announcement. Shareholders are said to be losing faith with the company, which hasn't made a profit since 2007. That's it for this week, stay tuned to TechRadar for all the latest camera news, reviews and more. If you've got anything to share, feel free to let us know over on our Twitter feed.